Lawn care during the fall is very important for enhancing your home's outdoor space, for promoting healthy grass and plant growth the next spring, and for ensuring your lawn stays healthy through the winter. Test and correct your soil pH (acidity) level if needed. Most lawns need a pH level between 6.0 to 7.0. Repair the soil pH by adding lime to increase the pH level or by adding sulfur to decrease it; the best time of the year to correct the pH level of your lawn is during the fall. Don’t forget to water your lawn in the fall if you live in a dry climate. The best time to water is in the morning. Cultivate the soil and remove weeds before watering. Cultivating helps water reach the roots more quickly and easily. Avoid watering in the evening because that encourages fungal diseases. Water deeply to promote strong and healthy roots. 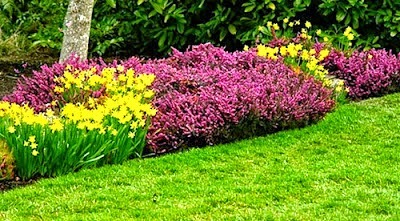 Apply a low nitrogen fertilizer to your lawn to reduce weeds. 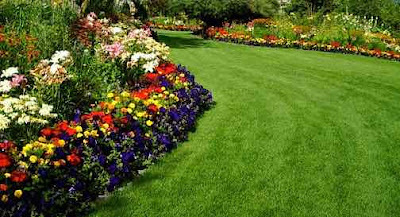 Fertilizers provide the nutrients needed for a healthy and lush lawn. Use environmentally friendly organic fertilizers. Check and follow the spreading instructions for the fertilizer you decide to use. Mow your lawn in the morning or early evening when the weather is cooler. Keep your grass 2 to 2-1/2 inches in height throughout the fall; to reduce weeds and pests, to promote deep root development, to allow the soil to better retain its moisture, and most of all to protect your lawn from damage during the winter months. Repair bare spots on the lawn to avoid weeds. The best time of the year to over seed is in early fall. Stop raking and turn leaves into mulch by using a mulching mower. 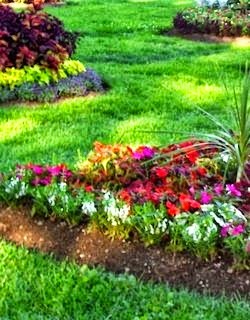 Protect the roots of your annual flowers and vegetable gardens by adding a pesticide-free grass trimmings mulch. 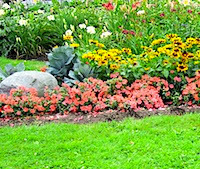 Use longer lasting mulch (bark chips) for perennials plants and shrubs. Remove the weeds in the fall with their roots system to prevent perennial weeds from re-growing. Remove the weeds when the soil is slightly wet and soft. 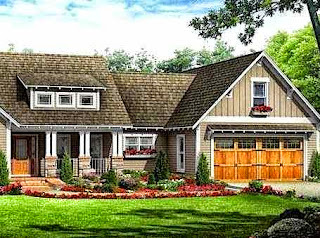 A well maintained lawn improves your home curb appeal and your landscape design. Follow these lawn care tips in the fall season and your lawn will look beautiful and healthy in the following spring and summer.